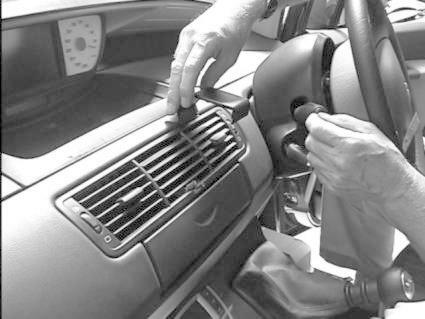 The ProClip can be placed anywhere within the width of the air vents. 1 and 2. 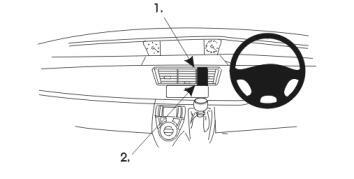 Press the upper part of the ProClip into the gap between the frame surrounding the air vents and the dashboard. 3. 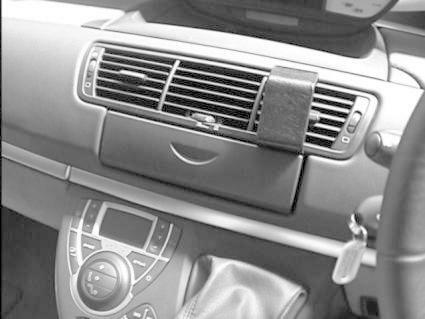 Hook the lower part of the ProClip over the frame surrounding the air vents.